This will be a show within the show, with its own signposting and its own decor, in a quite simply unique environment! 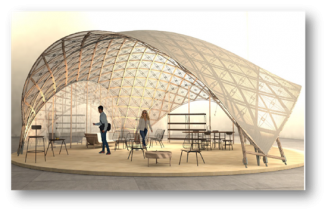 When SIAL Paris gives Alternative Food the platform it merits, it does so through the creation of a dedicated sector and events. 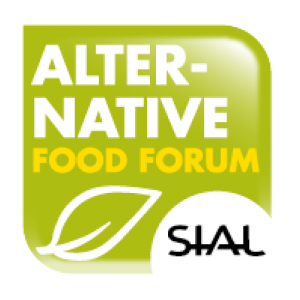 The 2018 edition of SIAL - taking place from 21 to 25 October at Paris-Nord Villepinte – offers Alternative Food stakeholders exceptional visibility. "It is a unique melting pot of experience that we'll be proposing for the first time in 2018", declares an enthusiastic Nicolas Trentesaux, SIAL Network Director, going on to add: "SIAL has always been at the vanguard in food matters, and this year we wish to go even further with this Alternative Food sector, organised against the backdrop of SIAL, the world's leading food innovation exhibition!" As the event highlight, the Sector will be welcoming many exhibitors from the world of Alternative Food, along with renowned experts on healthy eating and the stars of innovation in this field, whatever their country of origin. An overview of superfoods, the "clean label", agriculture, sustainable development, and animal well-being. Driven by curiosity, 45% of the world's consumers like to try out new flavours. The trend is therefore toward new sensory experiences, with the mixing of tastes, flavours, colours and textures. It is time to take inspiration from other countries, other markets, other cultures: all tastes are allowed!